The buffalo is a mine resistant vehicle that can be fitted with equipment to detect and dispose of explosive devices. It is also built to withstand explosions (it has a 'V' shaped hull to deflect the blast). You can see its mechanized arm in action in the picture below. Fuel Economy of the Buffalo Mine Protected Vehicle: About 3.5 miles per gallon (a range of 300 miles on a 85-gallon tank). The Cougar Armored Fighting Vehicle is designed to resist the blast from land-mines and improvised explosive devices (IEDs). You can see one doing an explosive test in the picture below. Fuel Economy of the Cougar Armored Vehicle: About 9 miles per gallon, though it heavily depends on conditions. The MaxxPro is a mine resistant ambush protected vehicle, designed by Navistar International in cooperation with the Israeli Plasan. 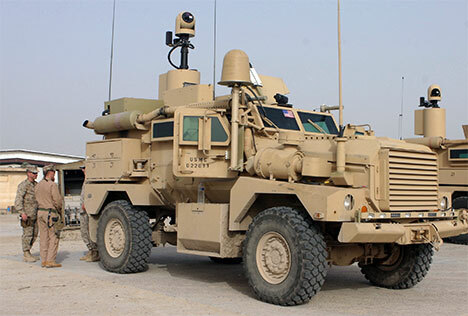 It was designed to take part in the US Military's MRAP programme. First vehicles were delivered for testing in 2007. Several thousands of these vehicles are in service with the US Military. These armored vehicles might eventually replace all active duty HMMWVs as the standard US Army vehicles in Iraq and other warzones. The basic MaxxPro is classed as a Category 1 vehicle. Vehicle utilizes a crew capsule and has a V-shaped hull, which do not extends to the engine bay. A V-shaped hull deflects the mine of IED blast away from the vehicle. 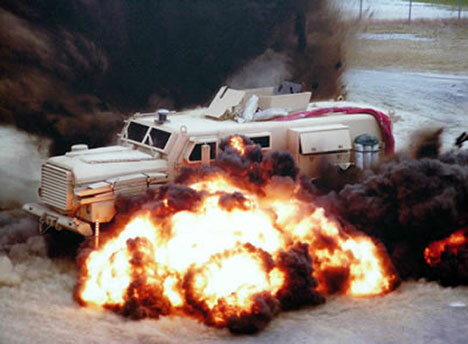 During tests this MRAP vehicle survived a 7 kg land mine blast. Armor of the MaxxPro was designed and manufactured by the Israeli Plasan. Armored hull is bolted together rather than welded. This facilitates repair in the field conditions. Vehicle can be fitted with add-on armor. It also provides protection against direct fire and RPG rounds. The MaxxPro is fitted with NBC protection system. This armored vehicle can be fitted with a roof-mounted and shielded 7.62-mm or 12.7-mm machine gun. 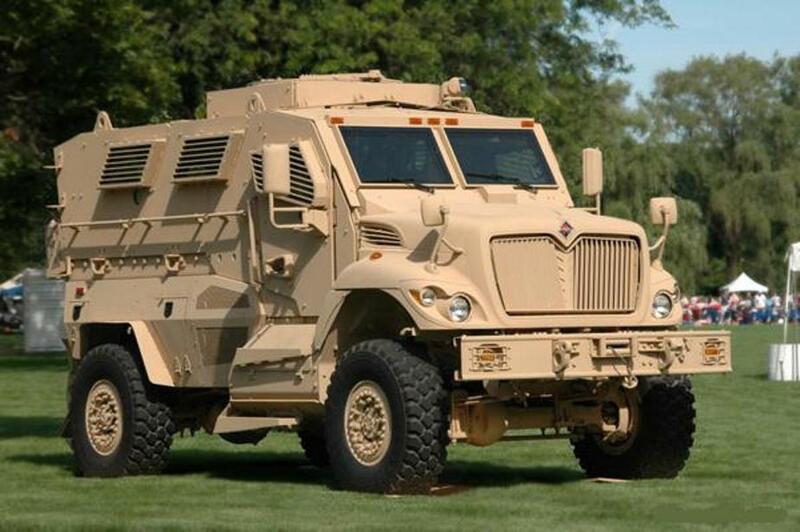 The MaxxPro MRAP uses International WorkStar 7000 truck chassis. Vehicle is powered by an International MaxxForce D9.3I6 diesel engine, developing 330 hp. Automotive parts of this armored vehicle are commercially available. 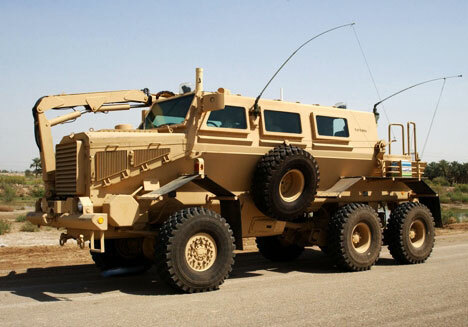 There are three variants of the MaxxPro MRAP, which share the same platform and there is a high-degree of parts commonality among all variants. 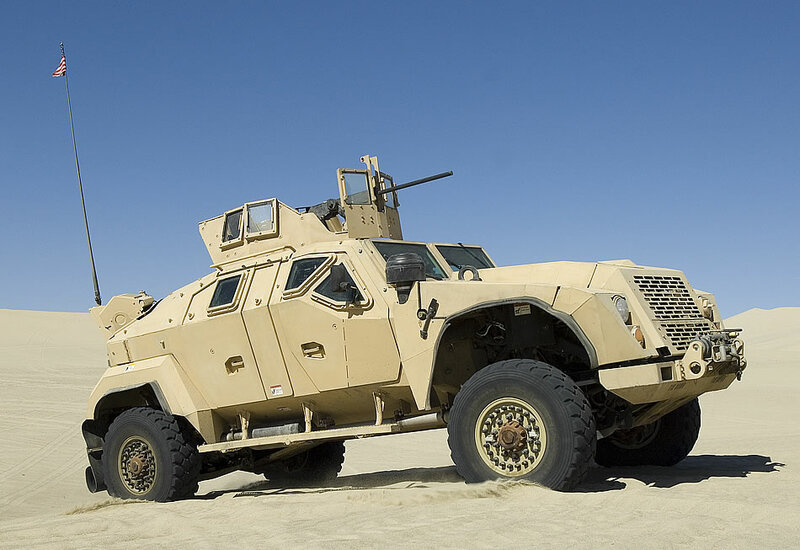 Navistar’s MXT-based design provides the same production and delivery advantages offered by its original MRAP product, the International® MaxxPro®, but in a lighter and more mobile configuration. 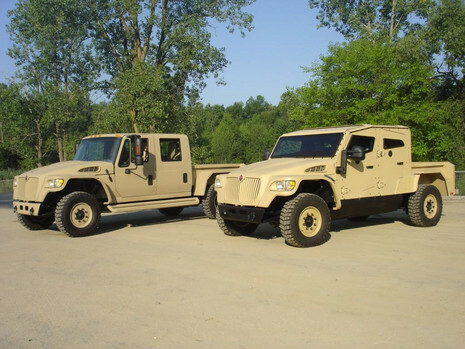 The company’s M-ATV unit also incorporates the survivability protection expected from all of Navistar’s MRAP vehicles. Designed to navigate Afghanistan’s rough terrain and perform in off-road conditions, Navistar’s M-ATV unit utilizes a specially-designed, light-weight armor, which is incorporated into the survivability system. While the platform of the company’s M-ATV vehicle varies from its MaxxPro MRAP, which is based on the International® WorkStar® platform, the smaller base allows Navistar’s unit to weigh significantly less than its MaxxPro Dash - the lightest of the company’s MRAP units and in service now in Afghanistan. 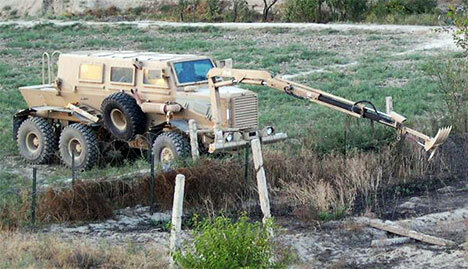 Designed to fill a gap that existed between smaller traditional armored 4x4’s and larger transport vehicles. Navistar’s M-ATV unit is powered by a MaxxForce™ D 6.0 L V8 engine designed to maximize speed and payload capability. The company would also be able to support its M-ATV units in theater through its existing dealer and parts and support network, which includes locations in Afghanistan.